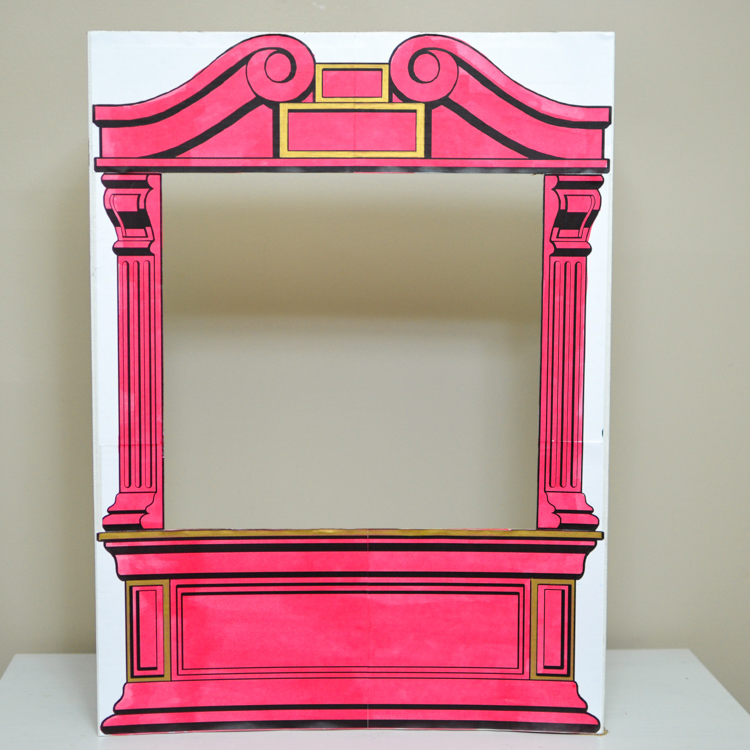 Print our puppet theatre pattern, then make a simple cardboard puppet theatre at home! 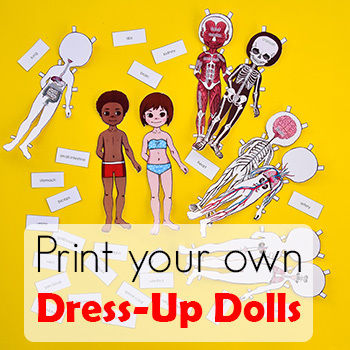 Kids will love colouring and customizing it before giving a performance with their favourite puppets. I think that once in a while we all want to try ourselves at a new creative enterprise. I don’t really want to be an actress, but I do like playing a game of charades. I don’t really have the ambition of becoming a photographer, but I do like taking candid pictures of my kids. Puppetry has become just such a creative outlet for everyone in our family. 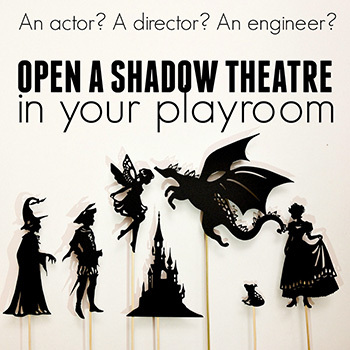 It gives us a chance to try the roles of stage director, actor, screenwriter or special effects engineer. It’s fascinating, educational, and a lot of fun. 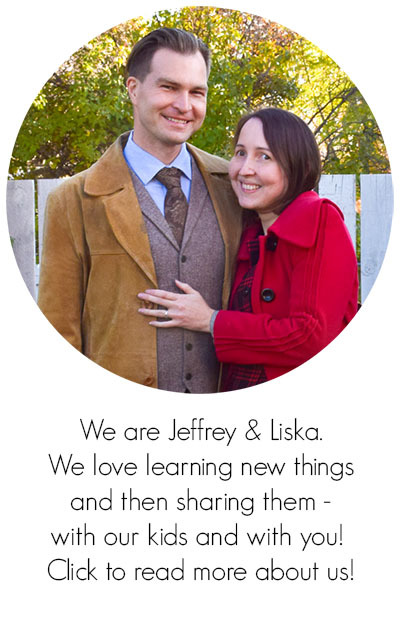 When our kids were small, we started with fairy-tale puppets, enacting our favourite books. Then, we switched to open-ended sets of puppets so that they could create their own stories. Now, we are adding puppets to supplement myths and legends while studying history and geography. Our performances have also grown more complex. We have even filmed a couple of them, and I chuckled over how a dream I didn’t even know I had came true – we made our own little movie! Very simple, but nevertheless, we did make the characters and wrote the script. 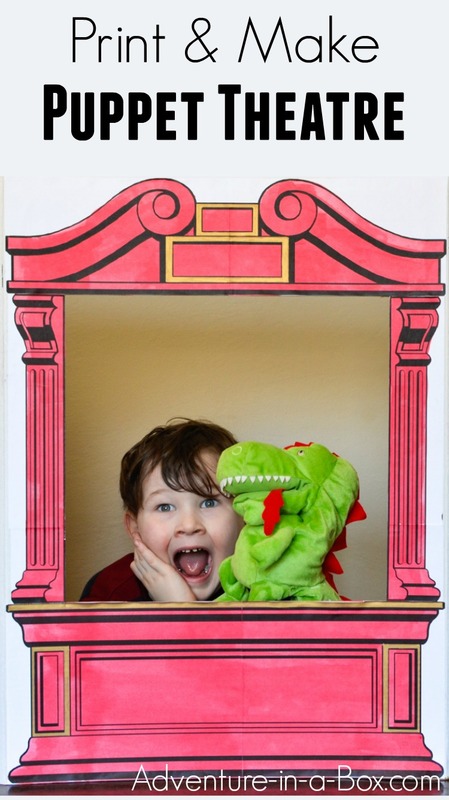 Our son also got very enthusiastic about puppetry: he enjoys drawing and cutting his own shadow puppets! 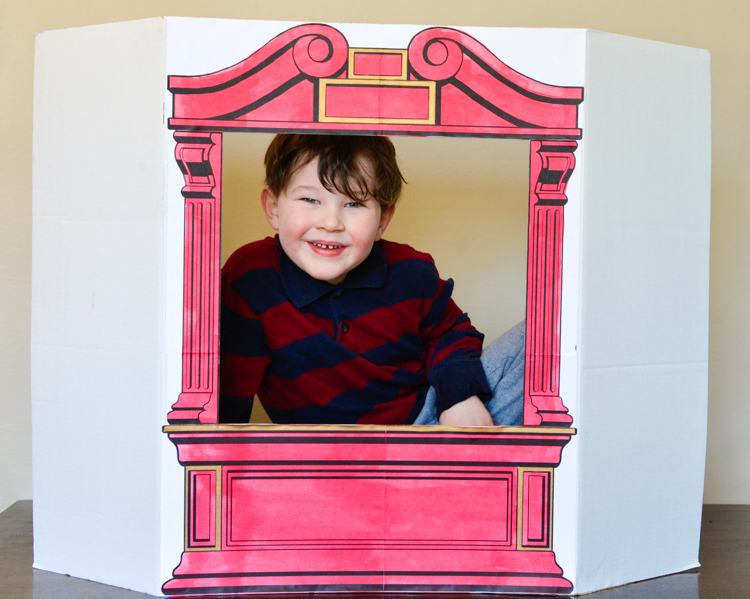 After all, what more do you need than a big cardboard box to turn into a theatre? But just my luck, in the last four years since falling in love with puppetry, we haven’t actually bought anything that came in a big box. But then I saw a tri-fold board in a local Dollar Store. “That’s it!” I thought. 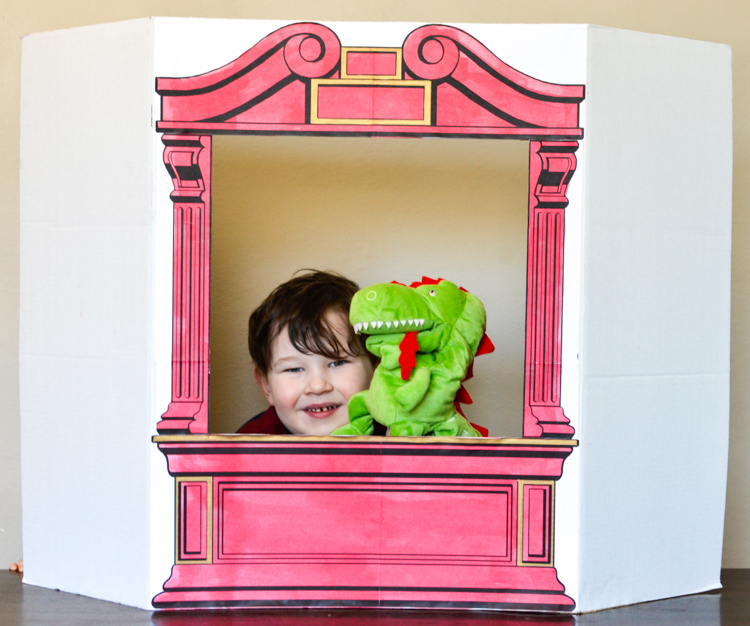 “It’s a perfect shape for a small puppet theatre.” And since it’s a standard size, it should be easy for anyone to get one and use our printable design! 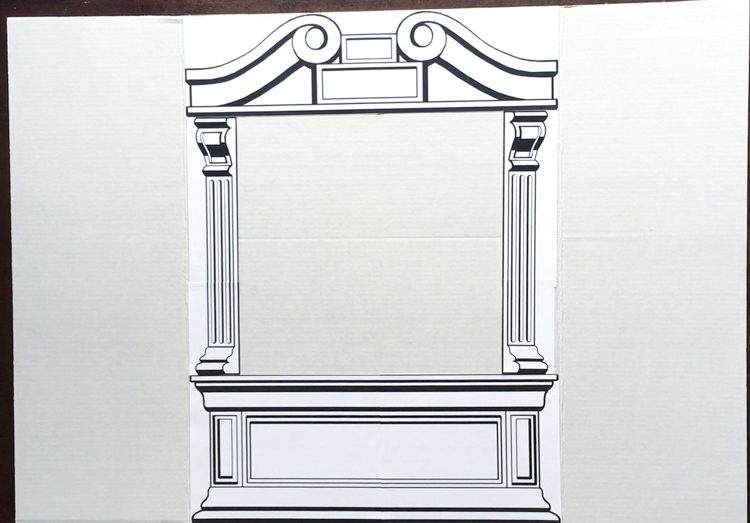 Tri-fold poster board 48×36”. It’s available from most Dollar stores and craft departments. 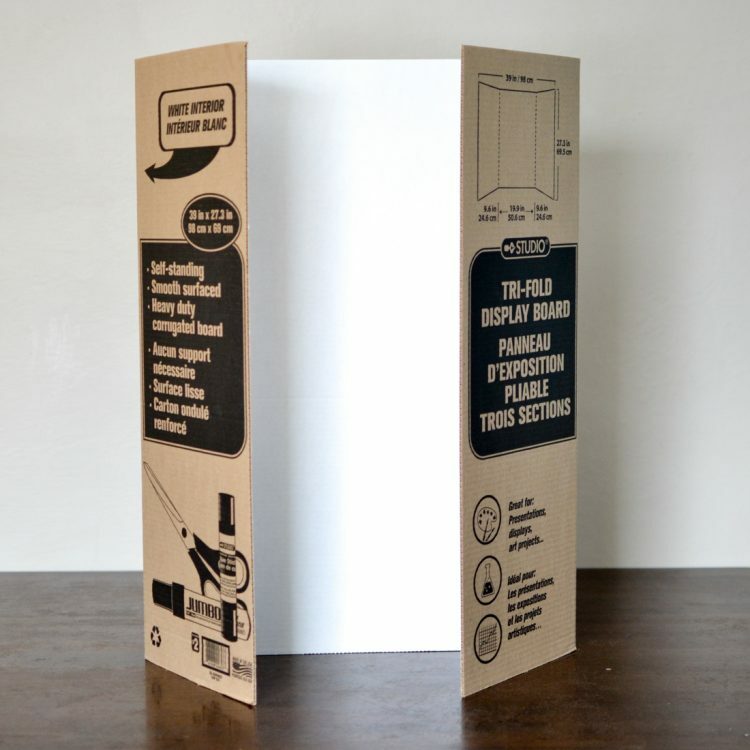 You can also use any old cardboard board with similar dimensions. Overlap in the design accommodates flexibility. (optional) Paint and markers to decorate the theatre. (optional) Baking paper and bandages to make a shadow puppet theatre. 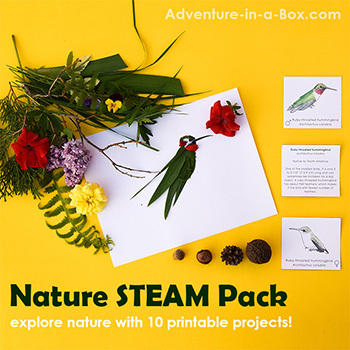 1 — Print the design on 5 pages. 2 — Assemble the designs on the central section of the tri-fold board, aligning them around the edges of the fold. 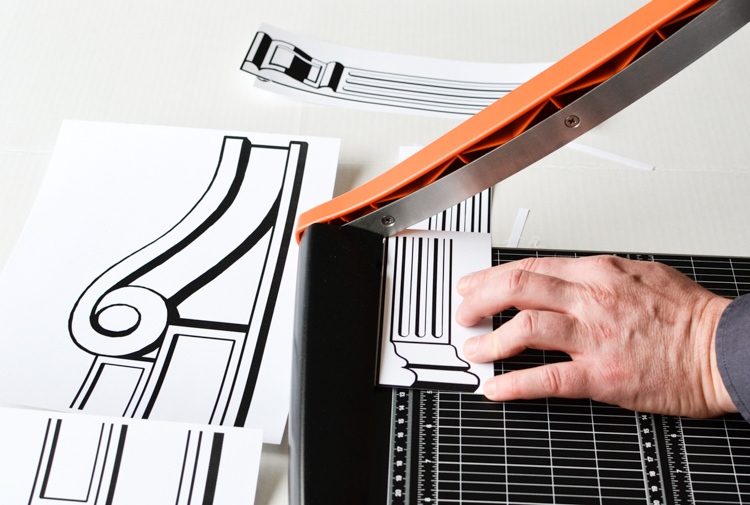 Trim the margins off the designs. 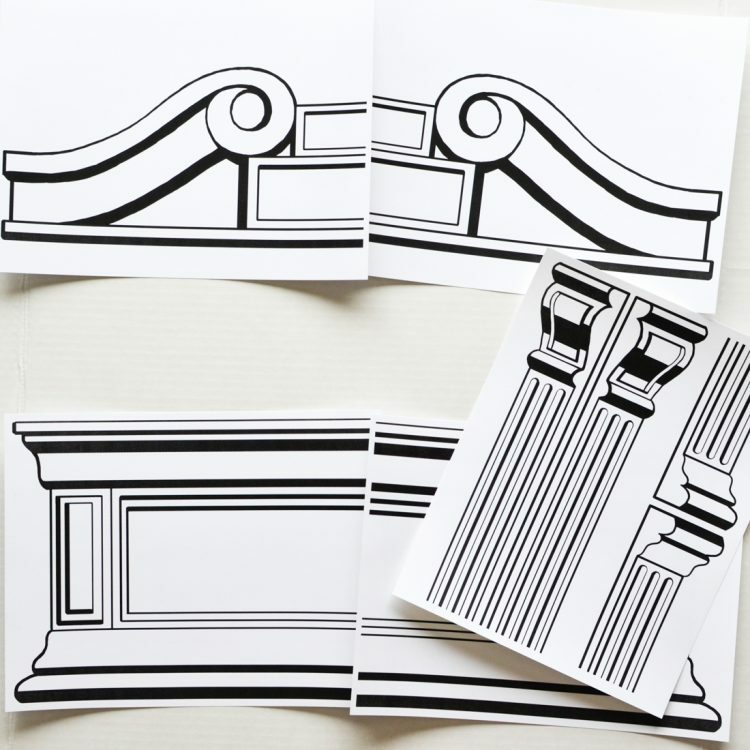 The designs can overlap one another, so you don’t need to trim them very precisely. 3 — Using a glue stick, glue the designs onto the board. Let them dry. 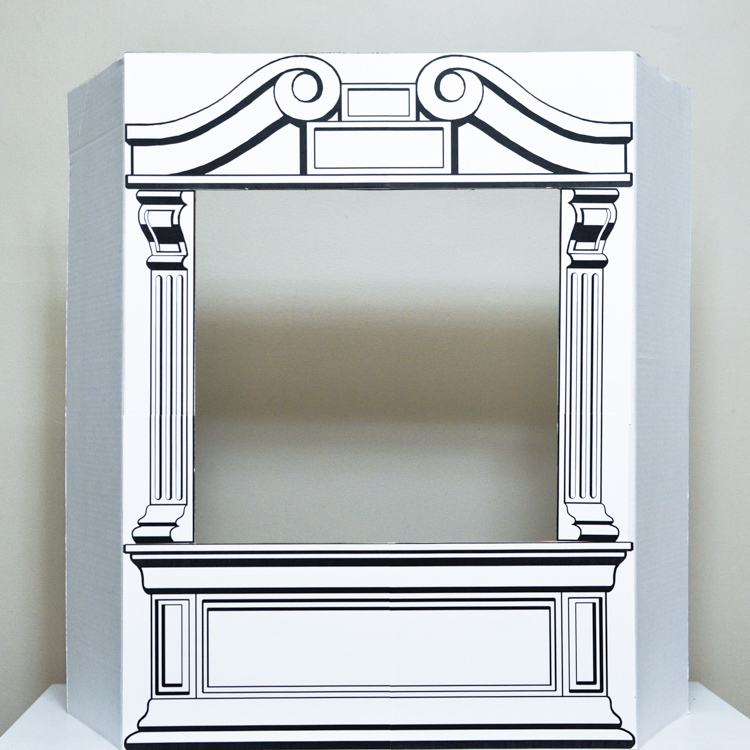 4 — Using a sharp knife, like a hobby knife, cut the stage opening. 5 — If you’d like, you can paint the theatre. 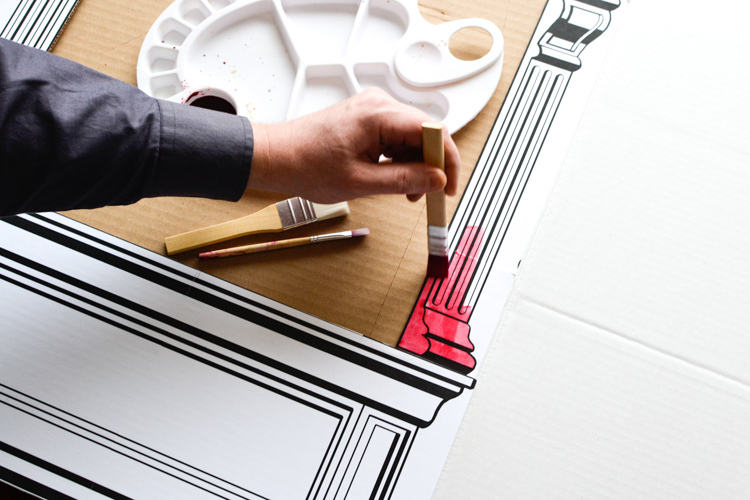 Use markers, watercolour paints or pencils—whatever seems appropriate. We used red liquid watercolour for painting the background and a golden sharpie marker for accents. 6 — Set it up and enjoy! 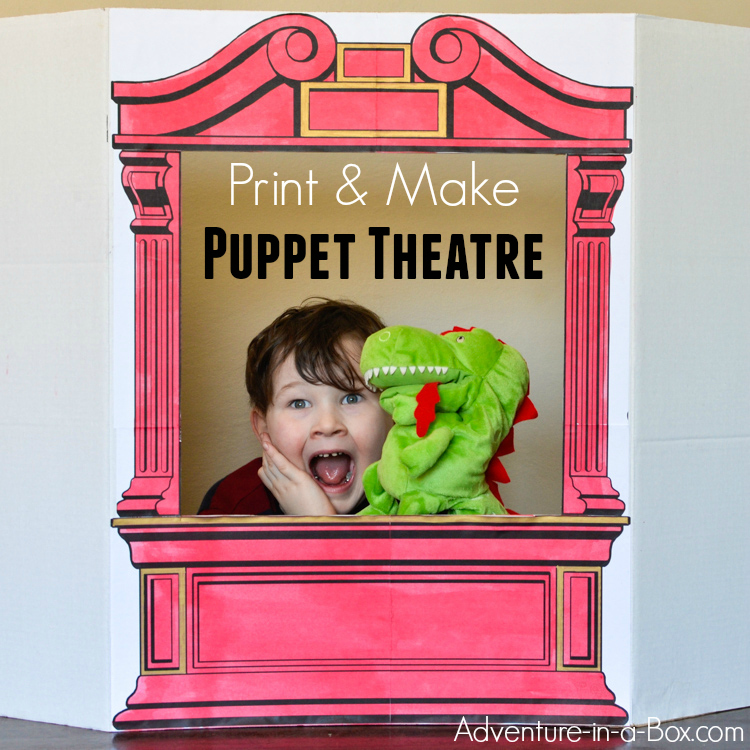 Includes a little puppet performance – and the full video tutorial of making the puppet theatre!